SWEEPING changes to the structure of departments such as circulation and finance has led to a net three posts being dissolved – comprising five posts going and two being created – at the Daily Record. With editorial redundancies from last year still fresh in the memory of staff, the only immediate departure is that of Kirstin Morrison, who is taking voluntary redundancy as director of marketing. The other posts are now the subject of consultation and efforts to re-deploy the people affected. At the same time, it has been announced that former Scottish Sun assistant editor (news), Derek Stewart-Brown, is to succeed Malcolm Speed, who is retiring as managing editor of both the Record and its Sunday sister title, the Sunday Mail. He will be mainly involved in recruitment, training, legal and budget issues. Stewart-Brown took voluntary redundancy from The Sun a year ago and has since been assisting his wife, Kirsty – who is five months pregnant with the couple’s first child – in her Lanark-based restaurant, Browns. He also keeps two flocks of rare breed sheep, one in Lanarkshire, the other on the Isle of Lewis. Stewart-Brown will be also responsible for the editorial management and development of the free newspaper, the Glaswegian, which is also owned by the Record’s publishers, Trinity Mirror. Taking charge of a new, combined sales and marketing department is current circulation director, Lorraine Fraser. But one of the posts being dissolved is that of advertising sales head, occupied by Anne Laing. 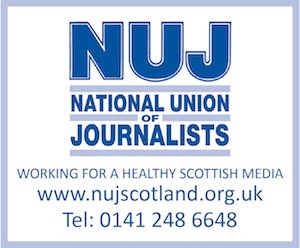 The post of circulation sales manager, occupied by Malcolm MacDonald, is also being cut. In advertising, it’s a question of two posts going and two being created, these being London-based senior sales executive positions, created to target regional media and London agencies.